The Board of Directors of the Martis Fund is made up of six directors. Mountain Area Preservation (MAP), Sierra Watch, and DMB/Highlands Group, LLC. Each group appoints two directors. These organizations and the directors they have appointed are described below. Founded in 1987 by local Truckee residents, Mountain Area Preservation works to assure that critical land use decisions in the Greater Truckee region support and facilitate the preservation of the area’s unique character and are in balance with protecting our spectacular mountain landscapes. The organization’s strength derives from its broad-based membership, skilled board of directors and commitment to finding creative solutions to environmental threats. We work with property owners, developers, residents, local governments, fellow organizations and decision-makers to achieve our goals. In the organization’s 20-plus year history, protecting sensitive lands in the Martis Valley is one of many conservation accomplishments that the organization has achieved which collectively assure the conservation values, recreation opportunities and historic character of the Truckee-Tahoe region will be preserved for future generations. The MAP appointees are Nikki Riley, representative and Dan Haas, a MAP Director. 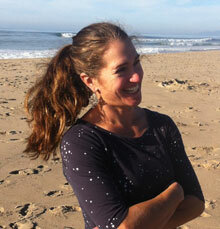 Nikki Riley moved to Truckee in 1998 after completing her degree in Architecture from UC Berkeley. She has made a career in both the arts and land use, seamlessly moving between the two fields. Nikki joined the Board of the Martis Fund in December 2012 and served on the Mountain Area Preservation (MAP) Board of Directors from 2009 to 2015, acting as President from 2012 to 2015. Nikki was a Planning Commissioner for the Town of Truckee from 2003 to 2007 and was the Truckee Representative for the Nevada County First Five Commission from 2009 to 2013. She is passionate about the Truckee-Tahoe region and serves as an advocate not only for the environment but for its people as well. Nikki currently serves as the Board President of the Martis Fund. Dan Haas lived in Los Angeles for 13 years and worked as a cinematographer in the film and TV business. Dan left the beach and the traffic for the fresh air and serenity of the Tahoe-Truckee region. He is currently working as a professional travel and lifestyle photographer. 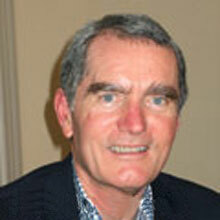 Dan currently serves on the board of the Red Tab Foundation and on the Mountain Area Preservation board. 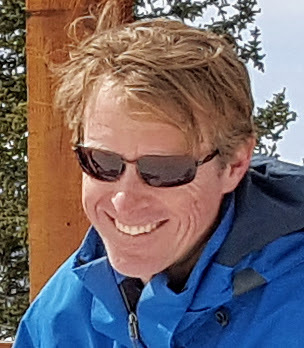 Dan cares deeply for the mountains and the place he calls home and believes in protecting the Tahoe/Truckee region for current and future generations to enjoy. 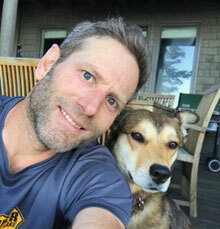 Dan is an avid skier, mountain biker, water skier and when not out on the trails of Tahoe, can usually be found traveling the West with his camera and dog, Maggie. 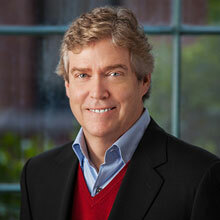 Dan currently serves as the Board Secretary of the Martis Fund. Sierra Watch has built a unique, strategic capacity to organize effective conservation campaigns in defense of Sierra landscapes. By engaging legal and planning expertise, mobilizing public participation, and collaborating on creative resolutions, Sierra Watch is securing protection of the Sierra places we love. Faced with development proposals in Martis Valley, local residents and second homeowners started Sierra Watch in 2000. After years of contentious land-use debates, Sierra Watch was one of five organizations to reach settlement agreements with developers and Placer County that collectively fund the protection of priority conservation areas, limit future development, and fund habitat and forest preservation efforts. Sierra Watch’s work continues, by playing a leadership role in defense of Donner Summit and providing strategic resources to support conservation on Dyer Mountain and Mount Whitney. The Sierra Watch appointees to the Martis Fund Board are Isaac Silverman, staff attorney, and Tom Murphy, a Sierra Watch Director. Isaac Silverman is an environmental attorney with deep roots in the Sierra Nevada. He grew up in the Placer County Foothills where a childhood spent exploring the nearby rivers, forests, and mountains instilled a lasting appreciation for the Tahoe Sierra. 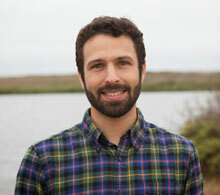 He studied environmental analysis at Pomona College and law at UCLA and has dedicated his career to environmental causes in Oregon, Colorado, and California. In his spare time you can typically find him playing outside. Isaac currently serves as the Board Vice President and Treasurer. Thomas Murphy, originally a New Hampshire native, has lived in the Tahoe area for 22 years and has had the privilege to serve on several of the regions community boards, such as past Chair of the Town of Truckee Planning Commission, North Tahoe Resort Association, Squaw Valley Institute, Friends of Squaw Creek, and the Olympic Valley Groundwater Management Committee. He is currently serving as a director for the Sierra Watch. Mr. Murphy’s formal education is in Natural Resource Economics, Resource Management, and Community Development coupled with a focus on Tourism/ Business Management. In his professional career Mr. Murphy has been fortunate to work in all phases of the construction industry through real estate development, logistics, and planning. He also has had the privilege to contribute to the Ski Industry from a rope/ handle tow operator, ski Instructor and coach, to Vice President of Squaw Valley Ski Resort. DMB/Highlands Group LLC is the developer of the Martis Camp real estate community and is comprised of the Highlands Companies and DMB Associates. Each of these organizations has appointed one director as described below. As Chief Executive Officer/Managing Director, Eneas Kane leads one of the industry’s most highly qualified teams with a track record of creating extraordinary real estate investment returns through strategic positioning and management of community development and redevelopment opportunities. In his previous role as President and CEO of DMB Associates, Mr. Kane had responsibility for the executive leadership and operation of the Scottsdale, AZ company, including its complex portfolio of community development projects in various stages of development and operation. In prior roles over the course of DMB’s 28-year history, Mr. Kane has been responsible for the successful strategic positioning and entitlement of many of the company’s projects and communities, and has been instrumental in facilitating a number of landmark development and conservation agreements working with many of the nation’s major environmental and conservation advocates. DMB Pacific Ventures has appointed Eneas Kane, its Chief Executive Officer/Managing Director, to the Martis Fund Board. Mr. Kane served as the past Board President. Over the past 25 years the Highlands Companies have had the good fortune to be involved in a wide variety of distinctive golf course and golf community projects, all of which have distinguished themselves in the marketplace. Each project has represented a different set of circumstances as to location, setting, market, etc., therefore, each has required its own unique development response to be successful. The Highlands Companies specialize in creating premier residential golf communities. Together with partners such as DMB Associates, the Highlands Companies have developed projects characterized by superb golf courses, outstanding clubhouses and an overall array of first-class amenities, including Lahontan and Martis Camp. The Highlands Companies has appointed Nick Hackstock, a Partner, to the Martis Fund Board.